The officials, who seized at least 11 cellphones, one tablet, a laptop, four hard disks and a pen drive during the arrests, are looking into Karim's Google Drive account, which they believe could have been used to help students enrolled at his chain of coaching classes cheat, reported The Times of India. It will take a minimum of two weeks for the forensic report to come out. On Saturday, the investigators arrested the owner of an IAS coaching centre in Kerala and its front-office manager for allegedly helping Karim clear the preliminary exams using fraudulent means, reported The Hindu. Karim, who secured the 112th rank in the 2014 UPSC examination, aspired to be an IAS officer. His coaching classes La Excellence, which has its head office in Thiruvananthapuram, has branches in Kochi, Kozhikode, Bhopal and Hyderabad. 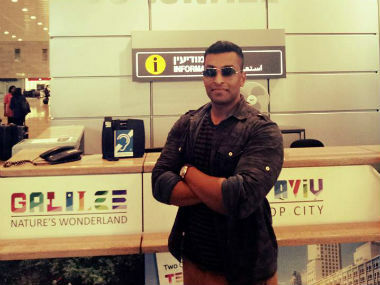 On 30 October, Karim was caught with a cellphone, a Bluetooth-enabled miniature camera in a shirt button and wireless earpieces, to communicate with his Hyderabad-based wife, Joicy Joy. During an interrogation, Karim admitted taking photographs of the question paper and sending them to his wife, The Times of India reported. Joy, who dictated answers to him, was soon arrested, along with another associate named Rambabu. Safeer was booked under Section 420 (cheating) and 120 (B) (criminal conspiracy) of the Indian Penal Code as well as relevant sections of the IT Act, 2003. A police officer told The Hindu that a few other family members of Karim were also involved in similar malpractices. Meanwhile, a magistrate court granted bail to his wife on Friday. Following the IPS officer's arrest, the Union home ministry also sought a report on Sunday from the Tamil Nadu government about his conduct. "Such a person is not fit to be in a service like IPS and action such as dismissal from the service may be initiated once a report from the state government is received," a home ministry official had said. However, the accused will be given a chance to explain his side of the story. InfoWarrior and Wolfpack like this. I can't believe that these morons study subject on Ethics and morality. This moron along with his wife and that Rambabu i.e. coaching faculty, should be jailed for hurting the image of UPSC civil services exam. Good job exposing the crooks. This will send a good message.